cardiostrong products stand for effective and lasting cardio training. 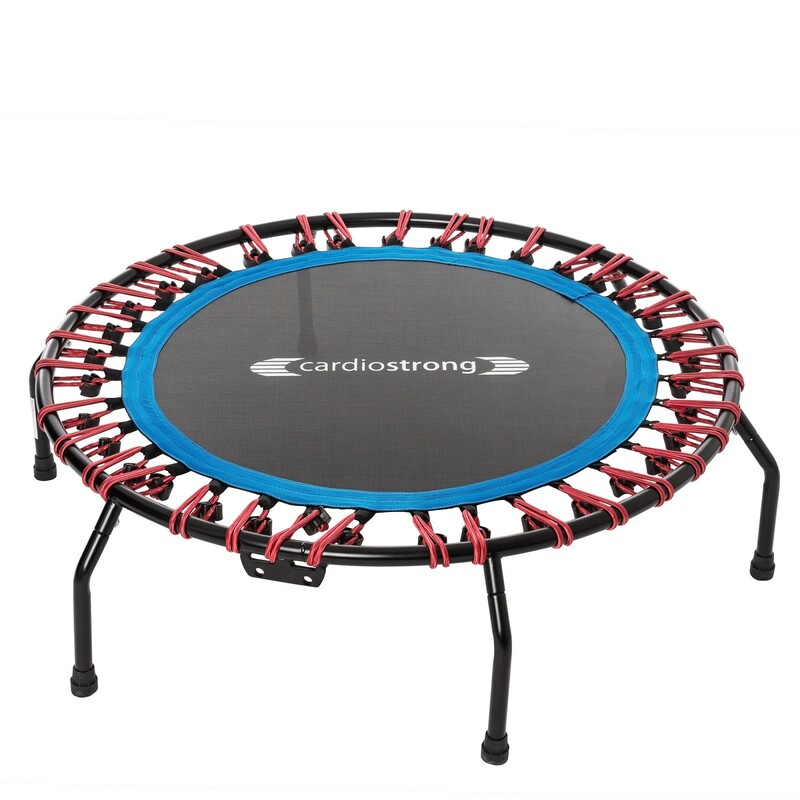 The new cardiostrong fitness trampoline gets absolutely in line. The training on a trampoline burns up to 25 % more calories than a workout on common ground. Increase the effectiveness of your cardio training and reduce the stress on your joints simultaneously. The jumping mat of this rebounder is mountd on single, extremely loadable rubber rings. Due to this elasticity, more cells are activated, the fat burning is stimulated, and the cardiovascular system is strengthened. The cardiostrong trampoline offers training possibilities for any age, every training level, and many training targets. Thanks to the protective edge, even young children can safely train with the trampoline. The separately available holding rod offers an additional safety while getting on and off. The holding rod is used as fixation and stabilisation for intensive and jumping-intensive exercises. The black varnish with black edge cover and the blue-white touches of colour of the jumping mat give a nice design, which adapts to every training and living environment elegantly. Permanent quality controls guarantee a constantly high quality and a good, lasting training experience. The edge cover can also be easily mounted and removed - as required. The optionally available holding rod is directly mounted on the frame and can be removed as well - to be pushed together space-efficiently. 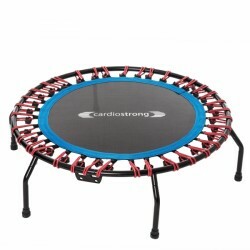 cardiostrong fitness trampoline add to comparison list.